Leaving the M6 at J36 following signs for Kendal. Turn onto the A6, Milnthorpe Road and follow signs for town centre. You will pass Kendal College on your left, entering the one way system, take the right hand lane. Staying in the right hand lane follow the one system into the town centre, turning right in front of the town hall down Lowther Street. Continue along New Street following signs for All Routes and Town Centre. With the river on your right you will turn left onto Blackhall Road. Staying in the left hand lane, you will see on your left the multi storey car park for ‘Westmorland Shopping Centre’. 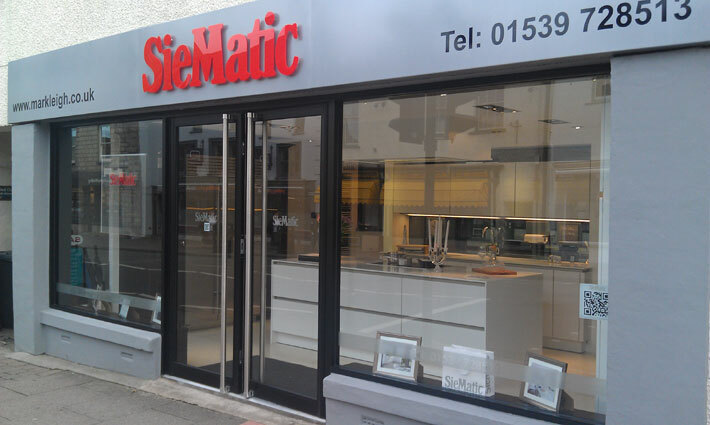 Our showroom is a 5 minute walk through the shopping centre into Kendal town centre. Our showroom is next door but one to the main Post Office.